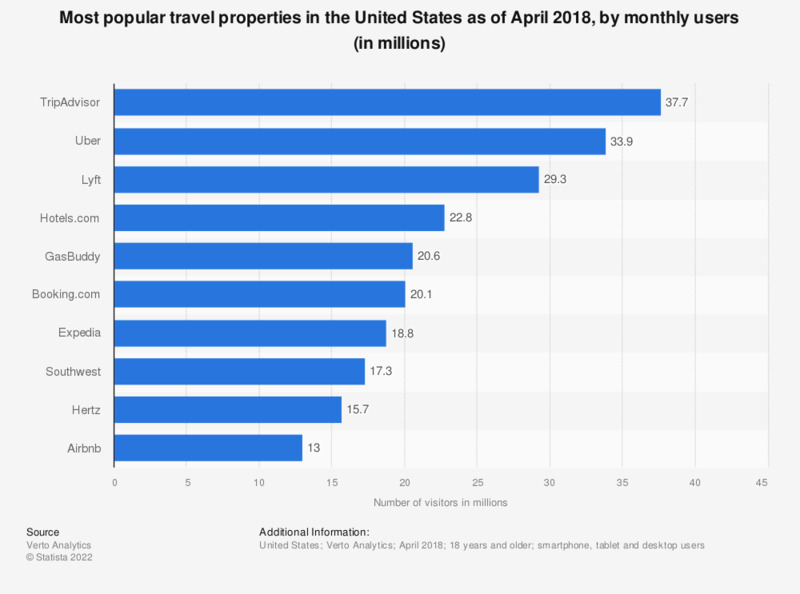 This statistic shows the most popular travel websites in the United States as of April 2018, based on monthly unique users. As of the measured period, TripAdvisor was ranked first with 37.7 million unique visitors. Expedia was ranked seventh with an online audience of 18.8 million users.